Situated on the waterfront, this motel is within a 15-minute walk of Devonport Regional Gallery and Bass Strait Maritime Centre. Mersey Bluff and Tiagarra Aboriginal Museum are also within 1 mi (2 km). 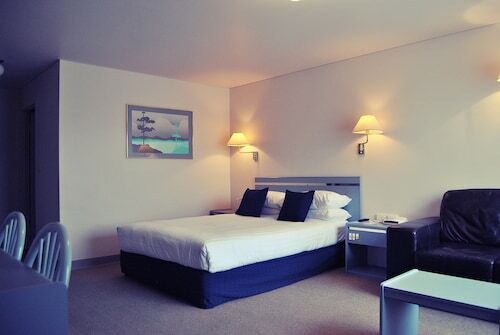 Situated near the airport, this motel is within a 15-minute walk of Bass Strait Maritime Centre, Mersey Bluff, and Tiagarra Aboriginal Museum. Devonport Regional Gallery and Coles Beach are also within 1 mi (2 km). 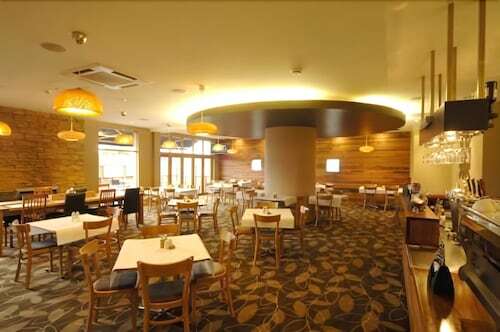 Situated in Devonport, this hotel is within 1 mi (2 km) of Devonport Regional Gallery and Bass Strait Maritime Centre. Home Hill and Mersey Bluff are also within 2 mi (3 km). Situated by the sea, this bed & breakfast is within 1 mi (2 km) of Devonport Regional Gallery and Home Hill. Bass Strait Maritime Centre and Mersey Bluff are also within 2 mi (3 km). Wot about a relaxing break on the Mersey River where city, coast and country life meet? Our Devonport hotels are the perfect base for discovering Tasmania's North Coast, and they'll allow you to unwind in scenic surroundings. Devonport was the hometown of Australia's only Tasmanian Prime Minister, the late Joseph Lyons. Today, you can visit ‘Home Hill’ and wander around the halls that are dedicated to his memory. Another great place to learn about local history is the Bass Strait Maritime Centre, where you can have a go on the ship simulator and hear about the local legends of the past. To make the most of the coast, head to Mersey Bluff Beach, where you can go swimming, check out the lighthouse, head up to the lookout, have a meal at the Surf Life Saving Club or just enjoy a picnic on the shore. The waves here are pretty flat so if you're looking for some decent surf, you're best off hitting up Coles Beach and Back Beach. Get amongst nature and meander around the peaceful Tasmanian Arboretum. You'll see huge, ancient trees and you might even spot a platypus or two! There are plenty of walking tracks in the arboretum but if you're a keen tramper, you might also like to try the Kelcey Tier Nature Walk, the Mary Street Wetlands Walk and the Eastern Foreshore Heritage Walk. If you'd prefer to stay indoors, you can admire the local artwork in the Devonport Regional Art Gallery or visit the Don River Railway Museum, which has Tasmania's largest collection of vintage and steam trains. So, grab your camera and jump aboard! Devonport is fast becoming a foodie destination. 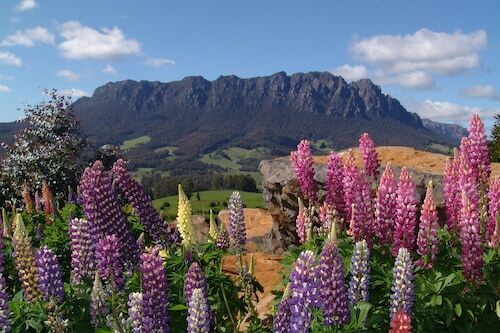 This area produces 40% of Tasmania's fruit, vegetables and dairy products and is known as "Australia's Market Garden". When you dine in any one of the trendy restaurants or cafes, you'll enjoy paddock-to-plate cuisine, as well as heaps of fresh seafood, local cheeses and gourmet chocolates. Devonport is also home to a few wineries and breweries, so you can finish off the day with a nice night cap. If you're after a bit of retail therapy, the two main shopping precincts are Don Road and East Devonport Village, where you'll find lots of boutique fashion stores and homeware shops. Getting here couldn't be easier; just grab a seat on one of these cheap flights to Devonport. The airport is only seven kilometres from the city centre and you can get around town on public buses. But be aware that the bus service only runs Monday to Saturday and that services are limited on Saturdays, so you might want to hire a car at the airport. That way, you can hit the road and explore some of the surrounding towns like Ulverstone, Port Sorrell and Latrobe. Or if you feel like doing a bit of shopping in Melbourne, you can jump aboard the "Spirit of Tasmania" ship and you'll be there in about nine hours. You've got the option of gazing at the horizon and getting your sea legs on a day trip or sailing comfortably overnight and arriving the next morning. So wot are you waiting for? Book your Devonport accommodation with us today and unwind in this laidback coastal-country spot. How Much is a Hotel Room in Devonport? 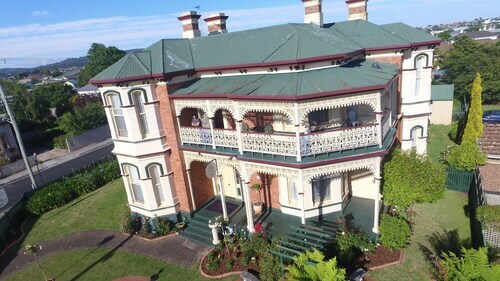 Hotels in Devonport start at AU$81 per night. Prices and availability subject to change. Additional terms may apply. Bottom was the Hotel and the Motel was above. Very clean and friendly staff. The meals were one of the best we have had while we were in Tasmania. The only 2 things that we could say against the Formby was no breakfast available and stairs only to get to your room. My husband is 78 and did struggle with his bad knee. We just wanted to say thank you for a great holiday at AAA granary. Outdoor view was spectacular. Property was reasonably clean and hot water system in shower was great. The only negative was we had less power connection in rooms & heated blanketed was not working properly but overall was great. We will definitely be back next time ! We’re recommending it to our friends too.”. Thank you.